Spring has officially arrived! So did a nor’easter here in Pittsburgh. But hey, I think there’s a saying that goes something like if you don’t like the weather in Pittsburgh, wait 15 minutes. So true. I was able to walk Lola and Mavis in gorgeously sunny 50 degree weather earlier in the week, and today I will be pulling out my snow boots for my pet sitting jobs. 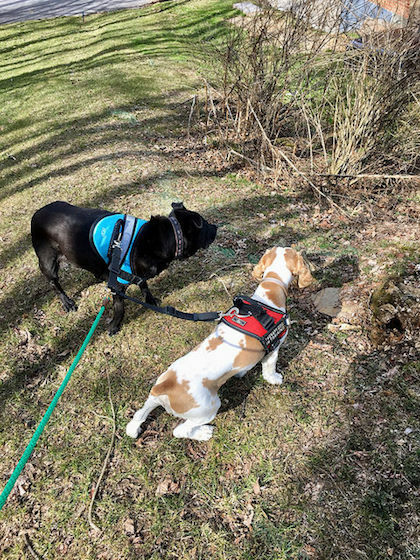 Walks with Lola and Mavis are so lovely due to the fact that we have a leash coupler, so I only have to use one leash! Walks with Lola and Mavis aren’t so lovely when Lola walks backwards and slips out of her harness to run away. Our pets certainly know how to keep Jimmy and I on our toes with their antics. We spoil them anyways. 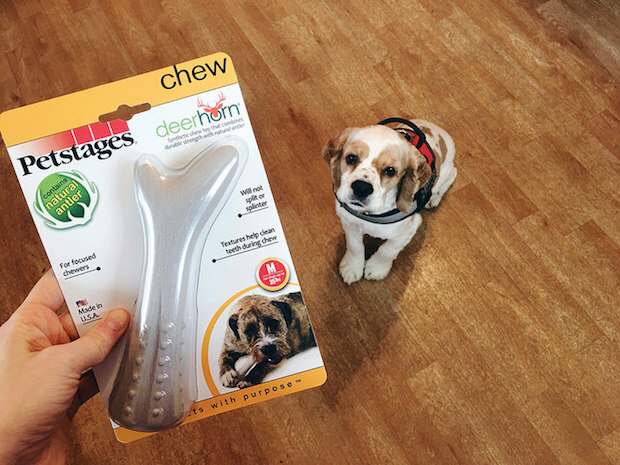 We just bought Lola the harness in the above picture and Mavis chewed the handle (while Lola was wearing it!) until it was hanging on by a thread. So what did I do the other day? Bought them a chew toy. Mr. Malcolm over here isn’t much more well behaved than his sisters. He’s actually the instigator in our household and has quite the penchant for trying to slip out our back door (is life with us that bad that our pets want to run away?!). But we spoil him, too. 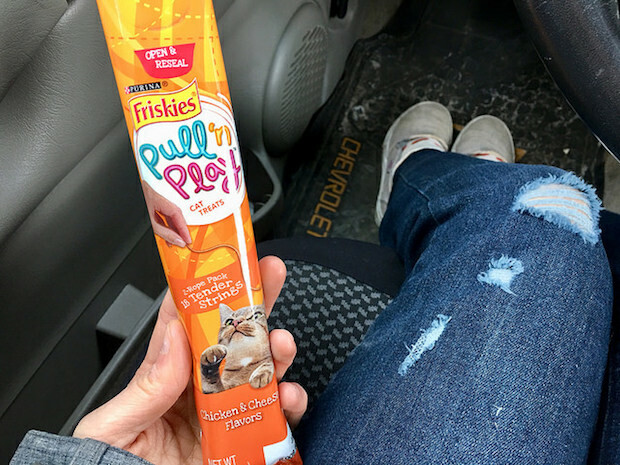 His new obsession, as I mentioned in my most recent vlog, are Friskies Pull ‘n Play treats. He goes crazy for these and runs all around the house with the treats in his mouth. I think he tries to tease Mavis and Lola! Speaking of cat treats, I have a great resource to share for any cat parents out there! Reviews.com has an awesome cat food guide that has a list of the best cat foods for 2018. The researchers that created the guide analyzed over 2,000 cat food formulas and picked their top 18 high-quality brands. Okay, back to talking about spring. To celebrate its arrival yesterday, I decided to bake one of my favorite spring-like recipes: lemon poppy seed muffins! When I typed out poppy seed, I accidentally typed “puppy seed.” I guess I have dogs on the brain?! What food reminds you most of spring? Those muffins look really good! I hope it starts feeling like Spring where you live. Thank you, Amy!! I sure hope so, too! We ended up getting around 5-6 inches of snow! The poppy seed muffins are awesome! 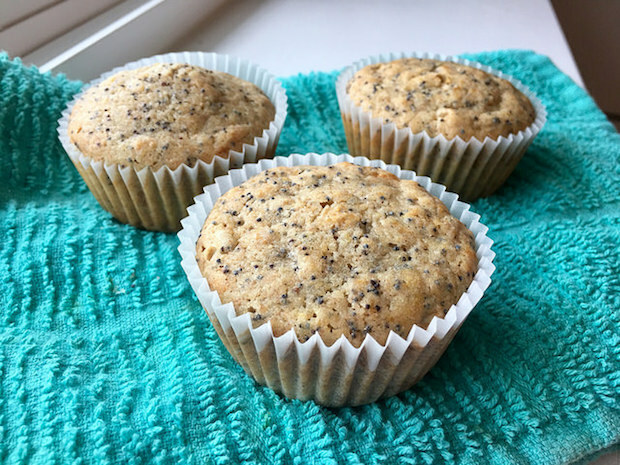 Ooh I haven`t baked lemon poppy seed muffins for ages… That sounds yummy! I think I need to make some! I highly recommend!! I just love baking! And I’m glad the cupcake queen herself thinks my baked goods sound good!! I’ve been wanting to try lemon poppy seed muffins for so long but they always seem packed with sugar. Can’t wait to try out your recipe. I hope you like them if you give them a try! They’re definitely not too sugary! Also your lemon poppy seed muffins look delicious! They really are, haha! I am so excited for that, too!! I think the four of them will have way too much fun! Lemon puppy seed muffins would sound like a cute dog treat! You should definitely make a dog-friendly version haha! That is seriously such a good idea! !